We know that our Lake Country kiddos love TRAINS. 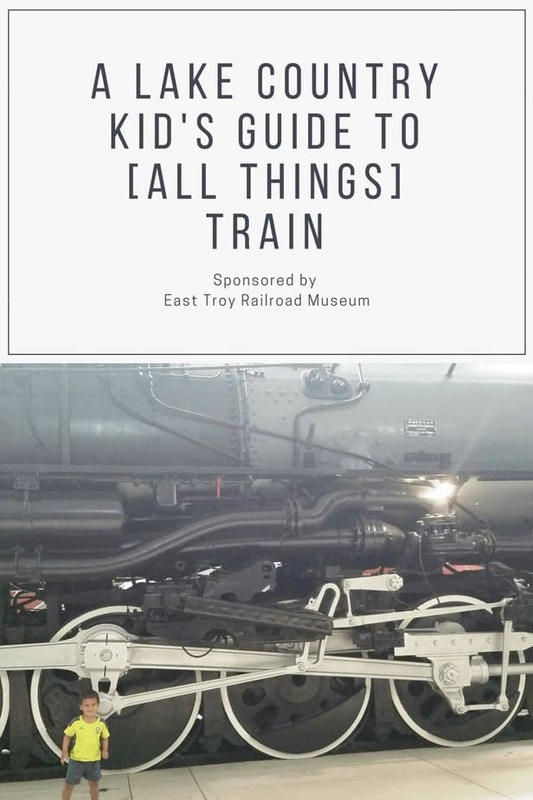 That’s why we’ve put together the ultimate Train Guide for Train-loving Kids. 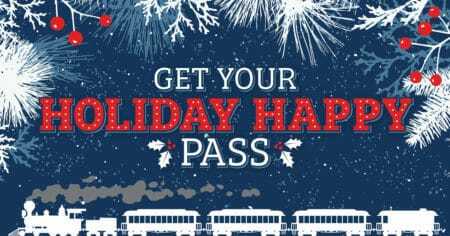 Operating on the last 7.5 mile stretch of the original interurban system in the state of Wisconsin, you can experience fun for all ages with Dinner, Pizza, Burger, Oktoberfest, Birthday, Christmas, Bunny and whatever other train you can think of! The depot is open, the historic cars are cleaned and polished, the long winter has come to an end, and the East Troy Electric Railroad is ready to kick off its 2019 season on Saturday, April 27th. 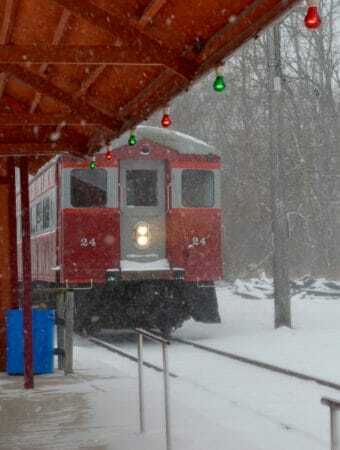 Trains will depart on the hour from the East Troy Depot starting at 10:00 am. The last train departs at 3:00 pm. Trains run every Saturday and Sunday through the first weekend in November. They will run three times a day on Fridays starting May 31 st .
Delavan Train Show: Open 9:00 am to 4:00 pm Saturday March 9; Open 10:00 am to 4:00 pm on Sunday March 10, 2019. Admission and parking are free! 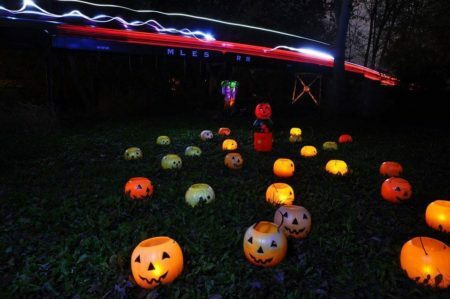 Milwaukee Light Engineering Society Pumpkin Run Train in Cedarburg [Free] including night runs. See all the events here. roy Depot (2002 Church Street, East Troy, WI) to Santa’s workshop located at the Elegant Farmer. Here children can visit Santa and get a photo taken with the jolly elf himself! Santa’s workshop wouldn’t be complete without a craft project and some hot chocolate and cookies to enjoy after working on those crafts! Christmas Village, one of two buildings located at the end of the trail, is home to an amazing model train display. Featuring six model trains running throughout four different levels of animated scenes, this display is sure to be a hit with people of all ages. Also located in Christmas Village are additional holiday displays, including an area to take photos, and a concession area where guests can purchase refreshments. Zeimer’s Model Train Open House December 22 and 23, 11:00 am to 7:00 pm. Annual Train Exhibit at the Milwaukee Domes dates are January 19 – April 7, 2019. The 2019 theme is Miniture Milwaukee. Know of any other places to ride a train in Wisconsin? Tell us in the comments and we will add to the guide for all to enjoy! PC Junction in Bailey’s Harbor – This is the ultimate train-themed restaurant. Every detail here has been thought of, from outside decor and play areas to the interior where your food is delivered via model train. Buffalo Phil’s in Wisconsin Dells – Your food is delivered on a TRAIN! Maxim’s at The Oconomowoc Depot – Boxcar dining right by a real railroad. Titletown Brewery & Restaurants in Green Bay – When trains go by, they ring the bell! SteamYard Coffee Shop in Hartland -Mildy train themed and not too far from train tracks! Do you know of any special train-themed dining? Tell us in the comments and we will add to the guide for all to enjoy! Madeline Park in Sussex – Train-themed park (Brand new!) in Sussex. N6523284 Elm Drive , Sussex. Madeline Park is a 7 acre open space park located on the northeast edge of the Stonefield subdivision on Waukesha Avenue, south of the Union Pacific Railroad line. Green Meadows – They have a brand new wooden train and train room! 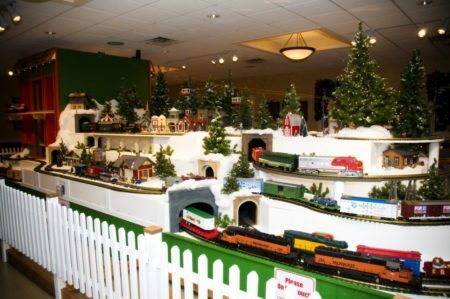 The train room has ride on trains, over 5 train tables, train toys of all kinds and more! Shady Lane Green House Menomonee Falls – The KFH Legacy Model Train resides in a separate greenhouse (the House of Blooms) and measures 4,800 square feet. train runs every Saturday and Sunday 10:00am till 3:00. It is always best to call before coming. Wales “Train” Park –Right off of the Glacier Drumlin trail in Wales is a wooden play train. 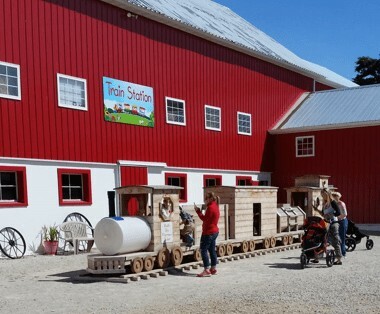 Grab a coffee at Mama D’s and enjoy it while your kiddos play on the train. The train was just updated by Wales Family Dental! Oconomowoc Historical Society – The museum in Oconomowoc has a model train display also. On the night of trick or treat, the museum is open with free admission and lots of treats! Trains are running that night as well. Know of other fun places with trains? Comment below and we will add to the list! We are a live steam club that has almost a mile of 7.5″ track on 6.5 acres. The Milwaukee Light Engineering Society was founded in 1969. M.L.E.S. is open to all individuals interested in mechanical devices and all phases of their construction. Know of other local railroad clubs? Comment below and we will add to the list! 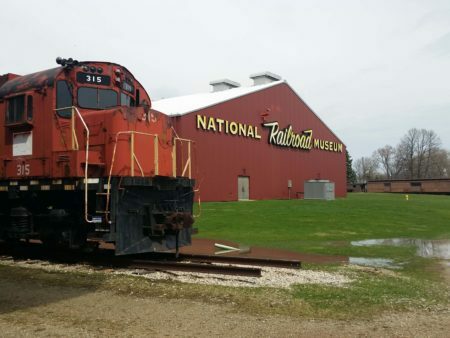 Want your local railroad shop added to the list? Comment below and we will add it! Dickten Park in Nashotah. Trains can be seen going by on the tracks, which are across the street (a safe distance) from the park. Also, there’s a fire station next door. Where else do you and your families view real, live trains? Comment below and we will add to the list! 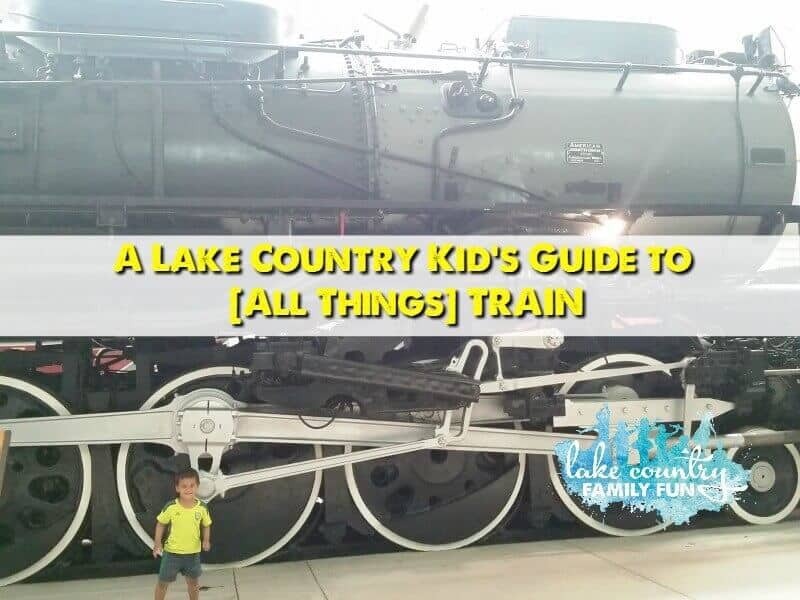 Don’t forget to share your train fun with Lake Country Family Fun on Instagram (IG) with #lovelcff. 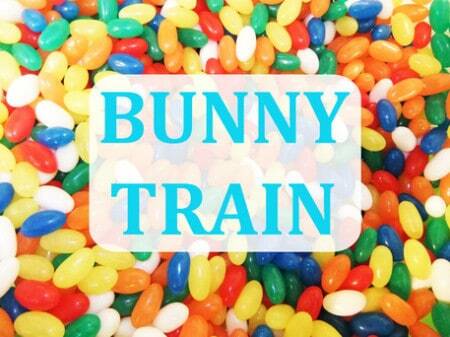 Tell us YOUR Favorite TRAIN Activities! Do you have a train ride, a train dining spot, a train trip, a train viewing area or park with a train that is not on this list? I bet you do! Well…share the train tips with your fellow Lake Country Families. 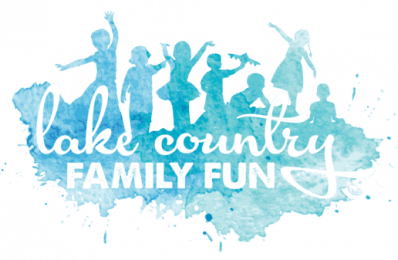 Email them to us at Erin@lakecountryfamilyfun(dot)com or use the contact form button. We will add them to the list. Awesome thank you we will add!